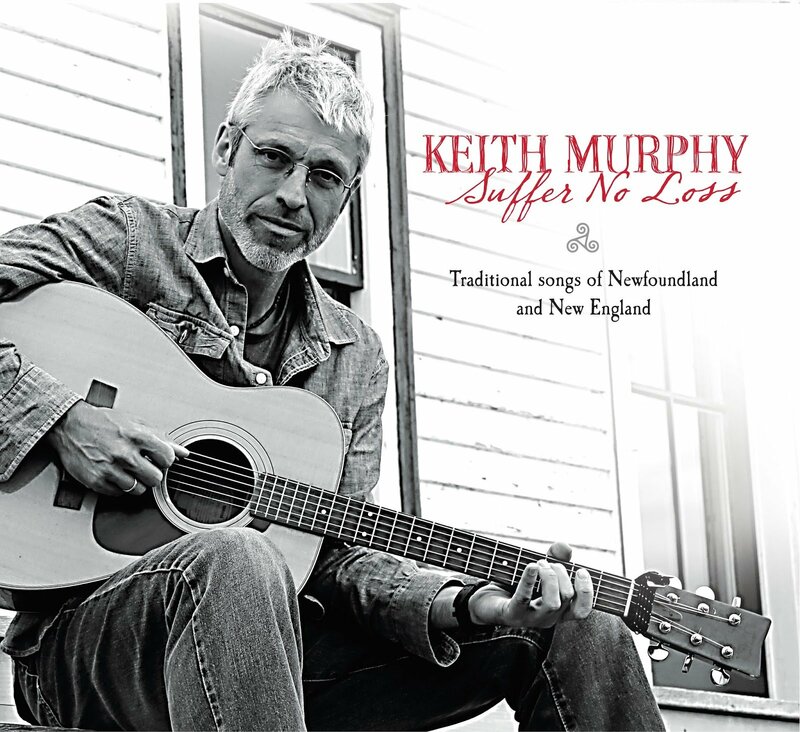 CLICK Workspace continues its sophomore season of CLICK Music concerts at its 9½ Market Street home in downtown Northampton with an evening of traditional songs from Newfoundland and New England, showcasing material from Keith Murphy’s newest release, Suffer No Loss. The program includes a mix of songs and ballads from Murphy’s native Newfoundland, as well as his adopted home of New England, where he has lived these last 20 years or so (currently based in the Brattleboro, Vermont, area). In particular, Murphy has revisited some of the most well-known, classic Newfoundland folk songs, songs he grew up with and now reinterprets after years of musical traveling. With simple yet elegant arrangements of traditional songs pared down to just voice and guitar, Murphy brings the focus back to the beauty of these texts. He creates a rich palette of textures using multiple open tunings and rhythmic ideas on the guitar, while also bringing in influences from French Canada, which has long been part of his musical profile. The addition of his mandolin, foot percussion, and chorus songs make for a well-rounded evening of music for lovers of traditional song. Murphy was a founding member of Nightingale, a trio that broke new ground in its sophisticated approach to traditional music. He is a mainstay of the Boston fiddle extravaganza, Childsplay, and has also worked extensively with Tony Barrand on the song repertoire from the early twentieth century of the Atwood family from Dover, Vermont. He also appears frequently with his wife, fiddler Becky Tracy. Murphy is also an accomplished composer and arranger in the realm of traditional music and has composed for theater and film. He is a featured performer on well over a dozen recordings and a guest musician on numerous others. His versions of traditional songs have inspired recordings by other groups including Solas, Uncle Earl, and Great Big Sea. Several of his compositions have been featured on the Ken Burns documentary on the Roosevelts. Tickets are $12 in advance through Eventbrite. Online sales end October 26th at 5pm, after which any remaining tickets will be available at the door for $15. Service fees apply. The fall series will conclude with a holiday concert by local folk quartet Rani Arbo & daisy mayhem on November 30th. Their WINTERSONG concert skips the holiday canon and goes straight to the power and beauty at the roots of Christmas. CLICK Music draws crowds to CLICK’s intimate performance space for up-close experiences with local artists who are given free reign to experiment with their music making. The concert series is curated by Northampton-based musician and producer Anand Nayak and is supported in part by a grant from the Northampton Arts Council, a local agency which is supported by the Massachusetts Cultural Council, a state agency. Additional sponsorship is provided by the Law Office of Peter Irvine, Helen Blatz of Edward Jones, and Downtown Sounds.